Hostelworld.com have a cancellation policy of no refund on the booking deposit or booking fee (where applicable) for a cancellation, no show or reduction in numbers. If you have a cancellation policy relating to the balance that you have charged / will charge to the guests credit card, please state this here. Ever Green is situated in the city center of historical Mestre,Venice. 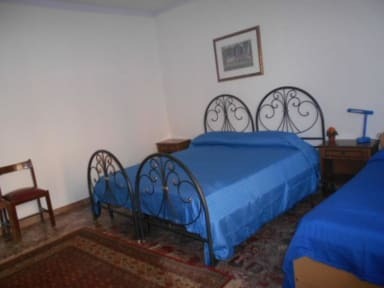 The Property is easily reached from Marco polo airport, Mestre train station by public BUS,TRAM. From the doorstep it takes 10 min. to VENICE by public bus. From bnb only 1 km away is europian greatest park San giuliano Park .with a beautiful view of venice lagoon and amazing green atmosfare. This property is also rated for the best value in venice Mestre ! Guests are getting more for their money when compared to other properties in this city. Evergreen has 7 rooms. 4 rooms are charming with private bathroom, while the other three have a shared bathroom (each of them have a shower inside). There are one belcuni with a femily room. Payment upon arrival by cash or by with card (This property may pre-authorise your card before arrival). Taxes not included - occupancy tax 2.10 euro per person per night. 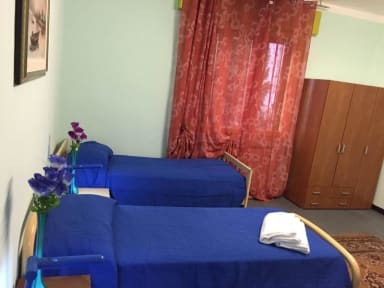 There are Six parking is available of our bnb.only one parking is insideand others 5 parking is outside for inside parking you will pay 10 euro only and only 8 euro for outside parking per night. There are also public parking places near the B&B.